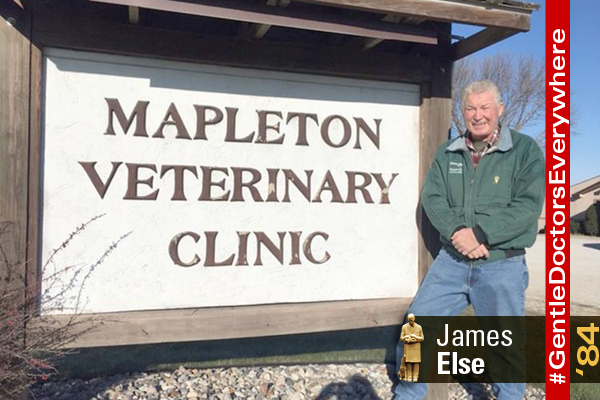 James Else may have served as a veterinarian in Mapleton, Iowa, for 34 years, but he didn’t let the job define him. Else was an active member of the Mapleton community, serving as the town’s assistant fire chief and on the Mapleton Electric Board and Board of Adjustment. He was also a licensed pilot and a past member of the Mapleton Flying Club. Now after 34 years in practice at the Mapleton Veterinary Clinic he is retiring. “The best thing about being a veterinarian has been helping animals and working with clients many of whom have become steadfast friends,” he says.